Winners of the second annual Ivy Women in Business Awards have been announced by the Ivy College of Business at Iowa State University. The awards honor women in business and those who work to inspire and advance the careers of women. 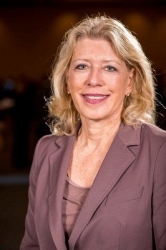 Leslie Buttorff, CEO of Panacea Life Sciences, received the 2019 Champion Award. Golden, CO, April 04, 2019 --(PR.com)-- Winners of the second annual Ivy Women in Business Awards have been announced by the Ivy College of Business at Iowa State University. The awards honor women in business and those who work to inspire and advance the careers of women. The 2019 Champion Award honors individuals, businesses, or organizations serving as champions to inspire, lead, and encourage women. In 2017, Leslie Buttorff became the Chief Executive Officer of Panacea Life Sciences, Inc., a company which manufactures and develops medicinal-grade hemp raw materials and products. Panacea’s vertical integration business produces the highest quality industrial hemp oil human and animal/pet products in the emerging CBD industry – which is expected to exceed $20 Billion in revenue by 2022. In addition, Ms. Buttorff is currently the Chairman of the Board of Quintel-MC, Inc. a company that focuses on SAP Enterprise Resource Planning (ERP) implementations. She created Quintel-MC, Inc. in 2002 and remains on the Board. She is also on the Boards of Active Youth Network (provides revenue and enables information for sports teams, high schools and clubs), JobZology (a CSU spinoff focused on matching people and jobs for employers) and One Cannabis Group focused on cannabis franchises. Ms. Buttorff has over 35 years of experience in management, marketing, consulting, technical evaluations and financial analyses. Her experience has been focused on strategic planning, strategic customer management, operations improvement, acquisition evaluations and integration. She has participated in strategy and business formulations internationally including Germany, Austria, Venezuela, New Zealand, Brazil, Argentina, Italy, Hong Kong, United Kingdom and Australia. Before establishing Quintel, Leslie was the global practice leader for Arthur D. Little’s Utilities practice and was responsible for the alliance with Perot Systems. Prior to joining Arthur D. Little, Ms. Buttorff was a Partner in the Utilities and Energy Practice of A.T. Kearney. Preceding A.T. Kearney, she was the President of EDS’ Utility, Energy and Chemical Practices. Prior to EDS, she was a Vice President and Denver Office Manager for Stone & Webster Management Consultants, Inc.; a Financial Advisor in the Banking and Transportation Industries. Ms. Buttorff earned a Master’s Degree in Industrial Administration from Iowa State University and a Bachelor of Science degree in Statistics from Colorado State University.